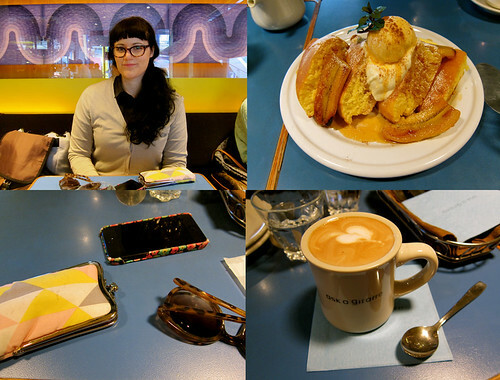 Much like a bar crawl, I spent my time in Kyoto hopping from cafe to cafe. After doing a little research with the help of the Kyoto Café Book, I had the privilege to sample some of the best work spaces in the city. Hands down my favorite place in the city. I’ve written more about it here. The best café au lauit I have ever had n my life. Although it is only steps away from the bustling Shijo, this tiny shop is hard to find. Strictly a local joint, I have never not seen it completely packed. Don’t let the simple interior fool you, this place has world-class coffee. A quirky café/Italian restaurant with comfortable seating or large sofas. Why not have dinner in what feels like a private living room? Located in the basement of 1928 Building, this edgy place is a café by day and live house by night. Established as a place for writers, artists, and other creative people to gather, this place definitely feels like a cultural hub in Kyoto. This retro dinner serves up some of the best pastries in the city. I recommend their pancakes. This place is all mood. From the blue lights to the translucent jelly, this odd cafe gives one the feeling of being in a gothic wonderland. A simple, straightforward coffee shop in Kyoto. Minimalistic interior and delicious coffee reminds me of the cafes I would frequent in Portland. The best curry in town. A lovely green escape nestle in a quiet, unassuming area of the city. Come here to relax and escape. 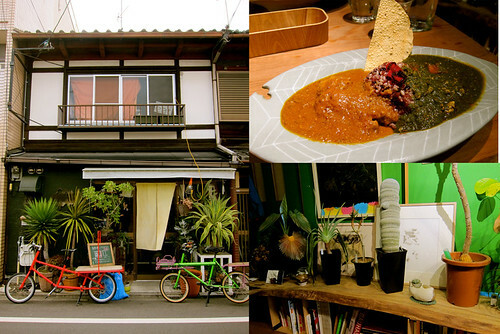 This is a proper Thai restaurant with all of Kyoto’s laid back atmosphere. It is also hard to find, being on the second floor of a nondescript building. After a light dinner, I would recommend going to Café Bibliotic Hello! for a drink or dessert, which is just two block down the street.